Himalaya Herbals is one of well-known marks of cosmetics in the world. The Himalaya products are created only from natural components. Careful selection of the herbs and minerals and many years' researches made the series of effective care preparations. Hair care, skin care, woman care and health care products are based on active care and treatment proprieties of herbs, fruit, vegetable and minerals extracts. The production process avoids artificial additions. This and the fact, that all components of cosmetics come from one of the ecological purest part of the world: the Himalayas, makes the basis of the exceptionality of this mark. Herbs used to the production of cosmetics are grown without the use of artificial fertilizers and are supervised according to the highest qualitative norms. 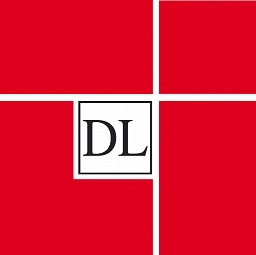 Danielle Laroche series is the unique combination of patented active vegetable components – coming from ecological Swiss plantations - and minerals contained in the black mud from Dead Sea. The cosmetics of the Danielle Laroche line are especially prepared for care of tired skin, demanding intensive and immediate regeneration. Mineralized black mud, which power and beneficial effect for the skin was known from ancient times, shows proprieties both therapeutic and beautifying. Danielle Laroche cosmetics purify, relax and revitalize the skin and soothe the irritation. They make the skin and hair glitter and restore the vitality. Planter's is a successful example of the campaign  Made in Italy as it effectively promotes the Brand in Italy as well as abroad. Planters products are available in more than 4500 pharmacies and 1800 herbal shops in Italy. Abroad, they may be found in France, Germany, Russia and from now on also in Poland. Planter's success is based on constant surveys under enhancing the formulas and creating the new ones. However, from the very beginning the main element of every receipt was Aloe Vera which, thanks to its active compounds and numerous features, remains the basis of every created formula. Eye Care Cosmetics - Founding pharmacists, Patrice and Danielle Soyer of Laboratories Contapharm, specialists in contactology. Using their expert knowledge, the Eye Care Cosmetics brand was set up 30 years ago, pioneering the development of makeup products tailored for the numerous, very specific requirements of contact lens wearers. Growing year by year, today it is a complete skincare and makeup line dedicated to all types of sensitivity. 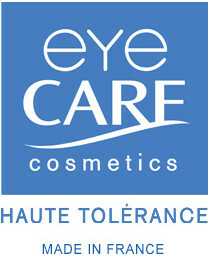 Eye Care Cosmetics has become the gold standard brand, recommended by doctors, dermatologists, allergy specialists.